Leo now has a real future. 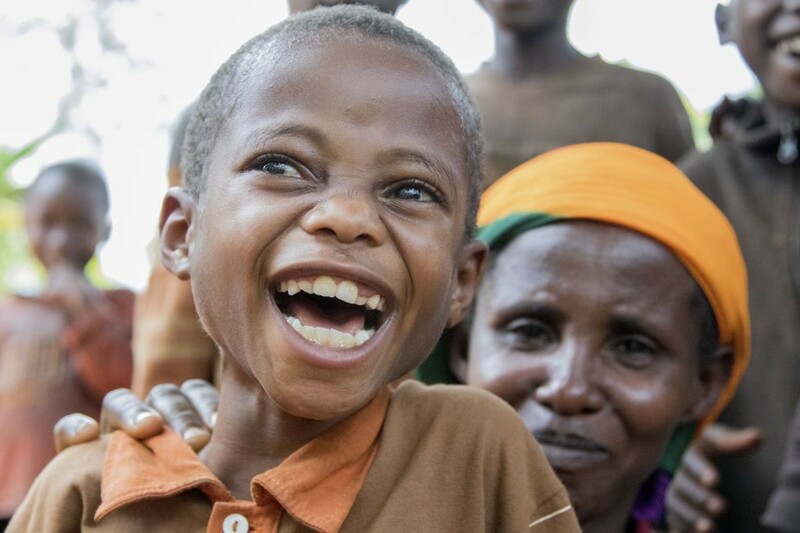 When Leonides went blind from cataract at age five, his chances were slim. Leo needed help, and fast. 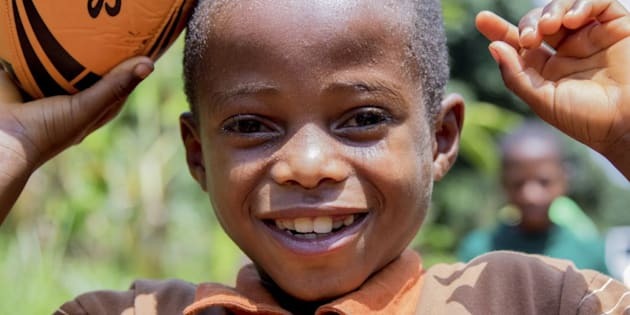 A child blinded by cataract may never see if they don't have their sight restored early, because their developing brains can lose the power to process visual signals. And as a child in a remote part of one of the world's poorest nations, healthcare was difficult to access for Leo. But Juliette did all she could. She knew that if she didn't get help, Leo wouldn't be able to get an education and he'd continue to be dependent throughout his life. For two years he was confined to a dark room, unable to go to school or even go out on his own. It broke his mother's heart when she heard him kick the walls in frustration as he listened to other children play outside. Juliette went to the biggest hospital in the region seeking help, but was told that the doctors there couldn't do anything for Leo. An eye clinic also rejected him, as they couldn't operate on children. It was only after she trekked all day to a clinic that Juliette finally found hope. 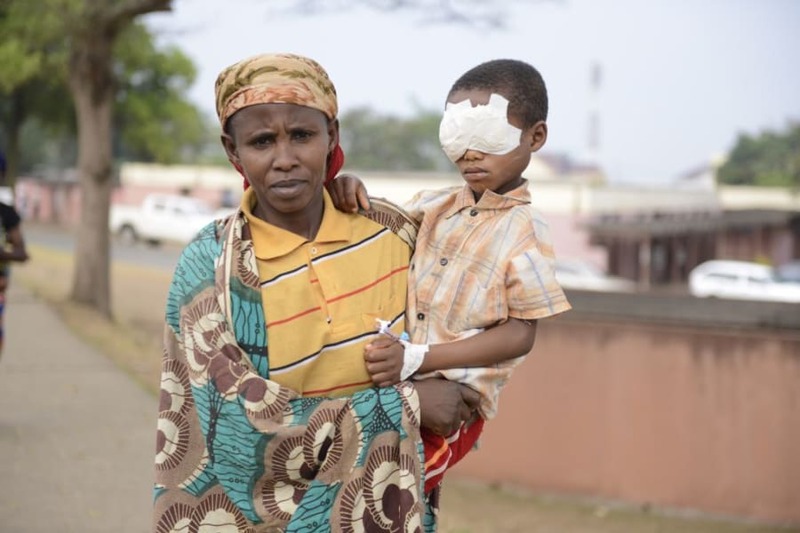 Leo was taken on a five-hour car journey to be operated on by the only paediatric eye surgeon in the country -- Dr Levi Kandeki -- and after a complicated surgery, he could see. Leo's mum cried with joy and the whole village celebrated his return. Now he could now kick a ball, and hold a pen. It was like a miracle to them. Now Leo is in school and he has a real future. His change of fate is even more remarkable when you consider there are an estimated 1.4 million children in the world who are blind, and 90 percent don't survive into adulthood. Shockingly, almost half of cases of childhood blindness are preventable or treatable. Most of these children live in the world's poorest countries where they don't have access to good eye health. Childhood blindness is a huge cost to the global economy -- estimated to be between US$60 billion and US$270 billion in loss of earning capacity -- and makes up nearly a third of the global economic cost of blindness. Although Leo's story is a success in a critical global situation, it's one I've been privileged enough to witness more than once. Earlier this month I was reunited with one of the lucky children we helped on a visit to Vietnam back in 1992. 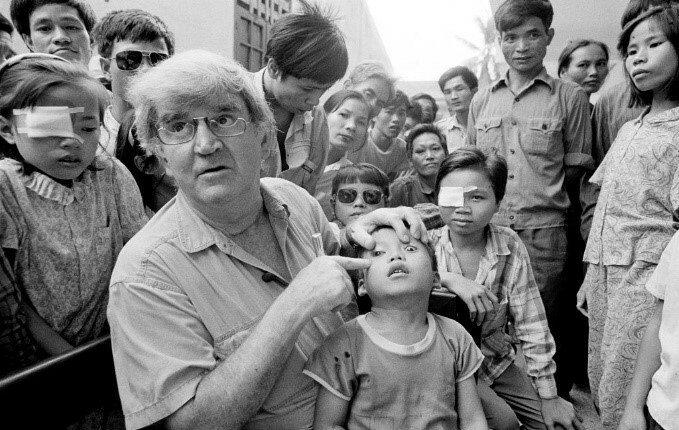 Fred was very ill at the time, but he insisted on going to Hanoi in order to fulfil his promise to train 300 eye surgeons in the latest cataract surgery techniques before he died. There he encountered Giap Van Tran, aged eight, who was then operated on by the exemplary Nepalese eye surgeon Dr Sanduk Ruit, and his sight was saved. Believing anything was possible, Giap strove to lift himself out of poverty, get a university education, and dedicate his life to the service to others. Now 32, Giap is a maths teacher and father of two. 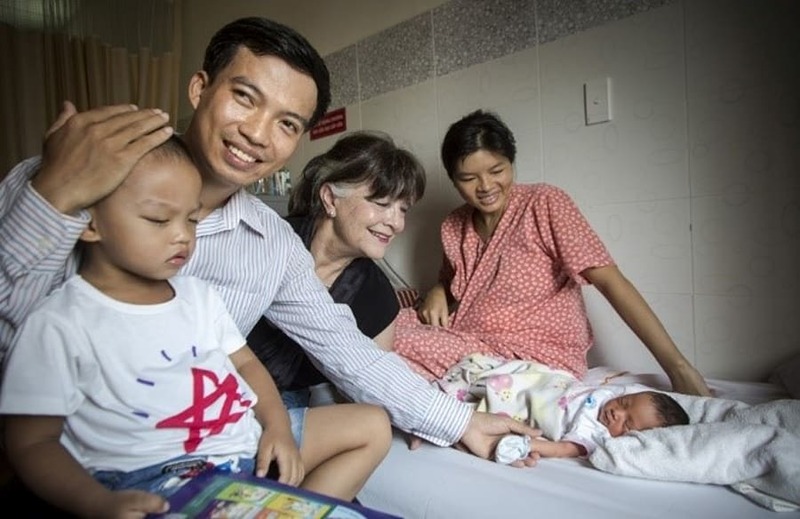 His second child, Phuc, was born while I was there. Stories such as Leo's and Giap's show what is possible for children who receive the necessary services. It's a way to break the cycle of poverty and provide hope to children, their families and communities.